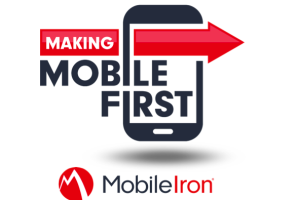 MobileIron enables today’s large enterprises to become truly Mobile First. Harness the power of modern endpoints and operating systems, including: Android, iOS, macOS and Windows 10. Secure corporate data, drive employee productivity, and enable business innovation in ways you never thought possible. MobileIron EMM provides the secure foundation required to meet both user demands and IT security requirements. MobileIron’s mobile device management (MDM) capabilities give you the fundamental visibility and IT controls needed to secure, manage, and monitor any corporate­ or employee-­owned mobile device or desktop that accesses business critical data. Enable employees to quickly enroll their mobile devices and desktops in MDM through a seamless setup process as soon as they are powered on. Ease privacy concerns with clear, easy­-to­-read policy guidelines for Android, iOS, macOS and Windows 10. Give users secure mobile access to productivity apps, such as email and Office 365, on channel from the app to the data center. Best of all, it happens automatically without any user intervention. Employees can instantly access secure web applications such as HR portals, billing apps, and approval processes from their mobile devices — no added security hassles or need to connect through the corporate network. Drive business productivity with a mobile application security framework that enables you to distribute, protect, and manage apps at scale. and provide users with a curated list of IT-approved business apps via an enterprise app storefront. Leverage OS-specific app configuration frameworks and containerization technologies to deploy apps at scale and enhance mobile app security. With per-app VPN, securely accessing behind-the-firewall resources is as simple as launching an app. Per-app VPN supports mobile application security by establishing a secure communication channel from the app to the data center. Best of all, it happens automatically without any user intervention. Employees stay productive wherever they work with secure, anytime access to essential business content. With secure mobile content management (MCM) software, IT can protect confidential business information necessary to support today’s modern work style, without slowing down business productivity. That means employees can access critical business content and collaborate seamlessly across any network, on any mobile device, or desktop without security prompts interrupting their workflow. Keep employees happy and productive by empowering them to use their favorite mobile devices and desktops for work. Whether you want to support a bring your own device (BYOD) or corporate-owned, personally enabled (COPE) device program, MobileIron EMM provides secure access to business email, apps, and content on any device. To mitigate mobile security risks across a variety of operating systems, MobileIron provides cross-platform BYOD enterprise solutions that protect both corporate data and employee privacy on Android, iOS, macOS and Windows 10 mobile devices and desktops. Easily secure and scale mobile fleet deployments. With enterprise mobility and mobile device management solutions, IT can quickly adopt mobile-based workflows to manage technologies such as retail point-of-sale, information kiosks, field data entry, and more. The ability to provision, track, lock down, and update devices from a central console also makes it easier to meet compliance requirements. Need help? Talk to our Certified MobileIron Professionals!